On a June morning in the century's infancy, Cyrus Braithwaite -- without explanation -- orders his three teenage sons to sail from their Maine home and not return until September. The three boys and a friend board the Braithwaites' forty-six-foot schooner and begin a perilous journey down the East Coast, bound for the Florida Keys. A storm abruptly ends their passage, leaving them stranded in Cuba, but when they telegraph their father for help, he does not respond. 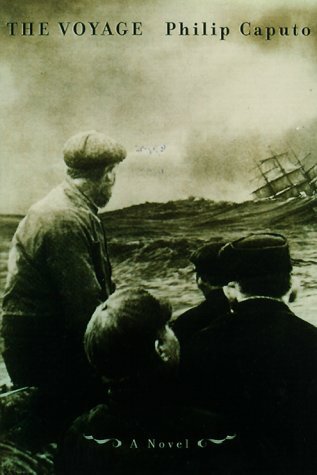 After their ordeal is over, no one in the family ever again mentions the voyage.<br /><br />Now, almost a century later, Cyrus's great-granddaughter Sybil is determined to know the hidden heart of the story: Why did Cyrus send his sons to sea? Why was their mother in a Boston hospital? What role was played in the drama by Lockwood Braithwaite, the enigmatic child of Cyrus's first marriage? Sybil's discoveries will change the way she thinks about herself, her family, and the America whose ideals the Braithwaites once embodied.<br /><br />The author of <b>A Rumor of War</b> -- acclaimed as one of the great books about Vietnam -- here gives us a rich and gripping tale of adventure, courage, and the persisting effects of long-held secrets. <b>The Voyage</b> is a powerful novel about a family whose ways and deeds were once a template for the nation.